Unlike commercial antiperspirants which are often a cocktail of chemicals to inhibit sweating, or deodorants which use a perfume to mask the unpleasant smell, this natural crystal deodorant without perfume or chemicals provides an effective solution for people who are sensitive to other forms of underarm protection. 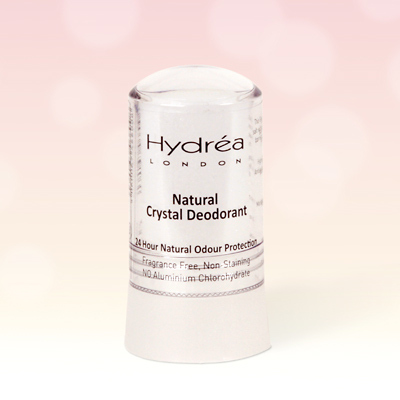 After bathing, simply dampen the crystal and apply a thin film wherever you normally apply a deodorant. One application should last the whole day and will normally be sufficient to prevent natural bacteria from doing its worst, and keeps those unwanted odours at bay. Pure Crystal deodorant is a naturally occurring crystal of pure ammonium alum which has been used for centuries as a water purifier because of its antibacterial properties.